Akili has been in Business and Technology Management consulting for over 20 years and has deep relationships with clients that span that timeframe. We believe the reason for that level of success can be attributed to our complete commitment to our clients for the projects that we undertake with them. This means that we work on a common understanding of the business outcomes that our clients are looking for and work toward those outcomes using people, processes, and technology. Our success is not determined by a successful technical implementation, rather it is determined by achieving our client’s business objectives. Even though we have long relationships with our clients, we earn their business one project at a time. We focus on your industry and business. We are good at what we do and we are absolutely committed to your success. A big part of Akili’s industry focus has been on the Oil and Gas Industry since the company’s inception in 1992. 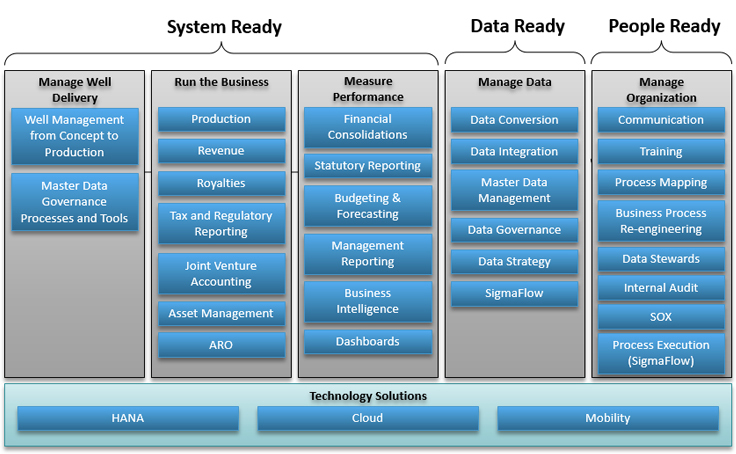 Obviously the technology has changed through the years, but we have extensive industry knowledge and have developed custom applications for both finance and operations, including complex integration modules, data warehouses and business intelligence applications. We understand the Key Performance Indicators (KPI’s) for the industry and focus on improving our clients KPI’s through technology. 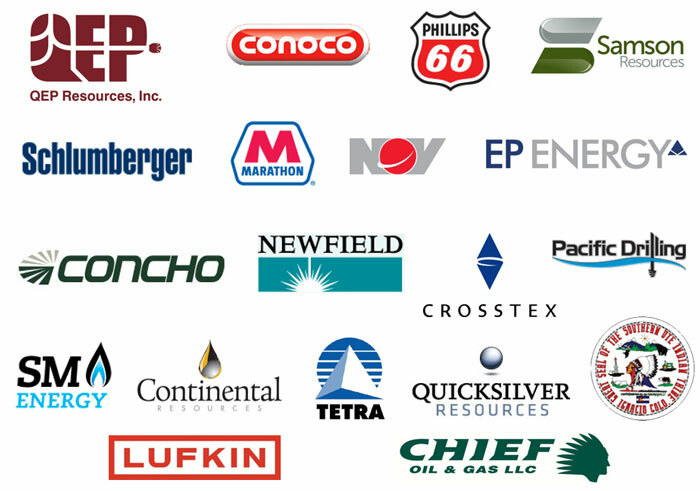 We provide implementation, special project, and support services for Oil & Gas (Upstream, Midstream, Downstream and Oil Field Services) clients and currently have ongoing projects at numerous industry clients including Samson Resources, QEP Resources, Conoco, Phillips 66, Concho Resources, Continental Resources, EP Energy, Newfield, Pacific Drilling, NOV, among others. Because of our depth of industry and product experience, we typically develop long term relationships with clients and are repeatedly called in to assist as experts with their various project initiatives. We have significant experience in delivering large and complex projects, with most of our client base on the large company side of the upstream oil and gas industry. We are currently involved in projects at Samson Resources, QEP Resources, Continental Resources, Phillips 66, and Concho Resources, among others. All of these are multi-system, multi-vendor projects where we must work as a team with the client staff and other vendor resources towards a common work plan and goals. 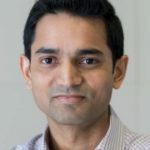 Projects like this require a clear definition of scope, responsibilities, timelines, and deliverables that must be defined at the PMO level to ensure project consistency. 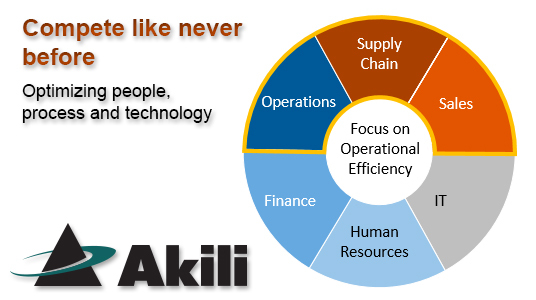 Akili has built a reputation of excellence and reliability for Oil and Gas technology consulting among the companies we have helped to upgrade their financial and operational software. We have enabled them to respond to market opportunities leveraging an integrated, end-to-end solution that really works. Our Oil and Gas software solutions enable companies to configure a streamlined financial and operational solution that manages the uncertainties that go hand-in-hand with the fluctuations of the energy marketplace. Akili has paired their 20+ years of Oil & Gas industry implementation services with SigmaFlow’s Well Delivery Solution, to deliver dramatic value in oil and gas exploration through multi-schedule management, process execution and analytical reporting tools. Akili’s collective knowledge of industry best practices and key performance indicators (KPIs) drives their ability to deliver SigmaFlow’s solution to improve their clients KPI’s through technology.